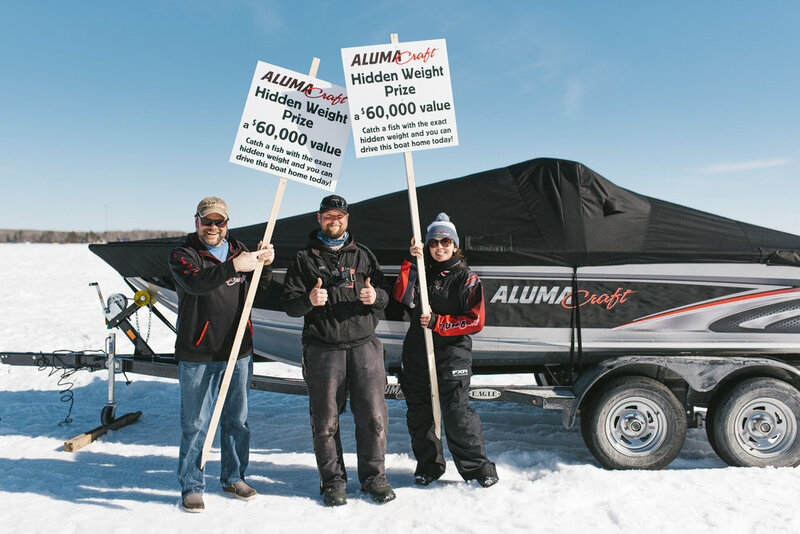 This years Runner Up will go home with a new boat/motor/trailer from Alumacraft and Mercury! Could this be the year somebody hits the hidden weight? 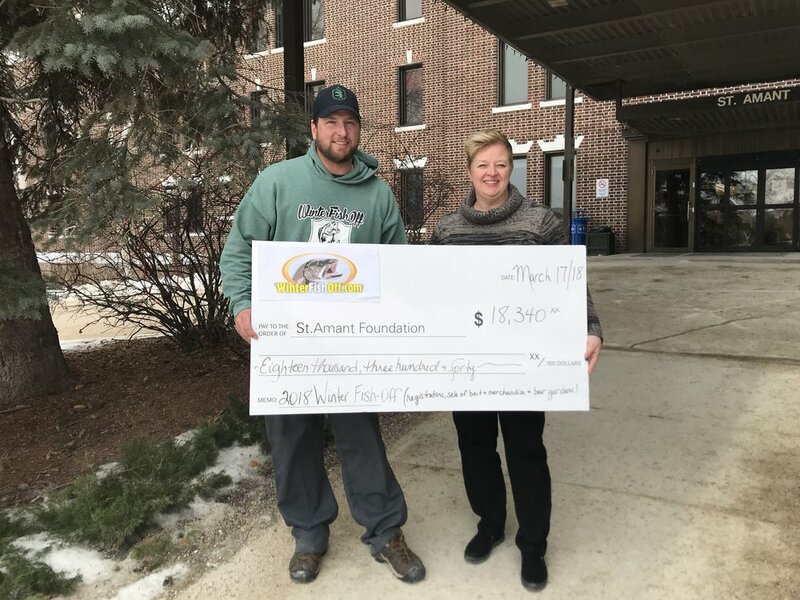 15th annual Falcon Lake Winter Fish-Off grand prize $15,000.00! 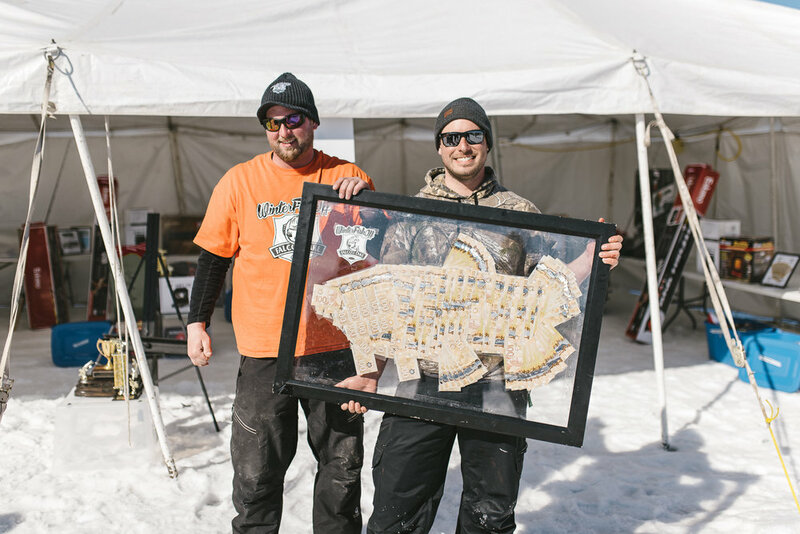 This Years Falcon Lake Winter Fish-Off will be held March 17, 2018 and because its our 15th annual we're boosting our grand prize to $15,000! 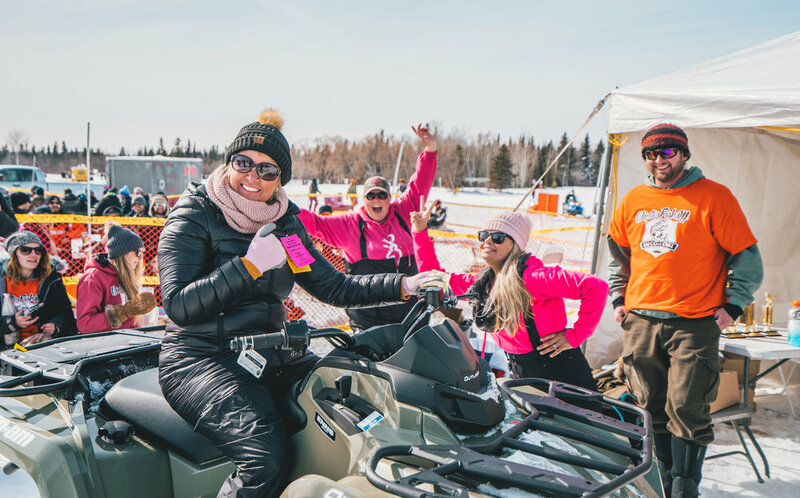 Theres over $100,000 in potential winnings, including $50,000 guaranteed cash and prizes, over $10,000.00 in tagged fish and a hidden weight prize valued at over $40,000. This year the Falcon and West Hawk Chamber of Commerce is putting on a tagged fish contest on Falcon Lake. They’re putting up $10,000 on 6 tagged fish on Falcon Lake to add some extra excitement to fishing Falcon Lake. 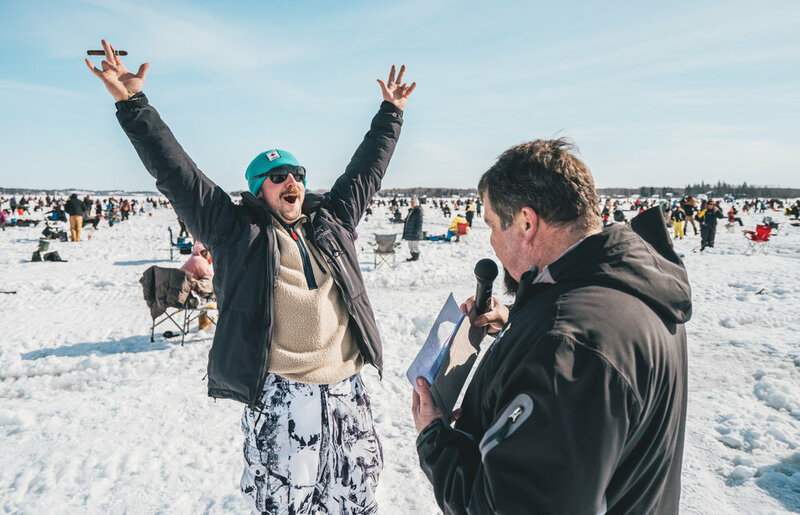 This contest will start at the same time as the Winter Fish-Off and go Year Round until all fish are caught. Entry into the tagged fish contest will be $20 and contestants will not be eligible for the tagged fish prizes unless they have bought the ticket beforehand. 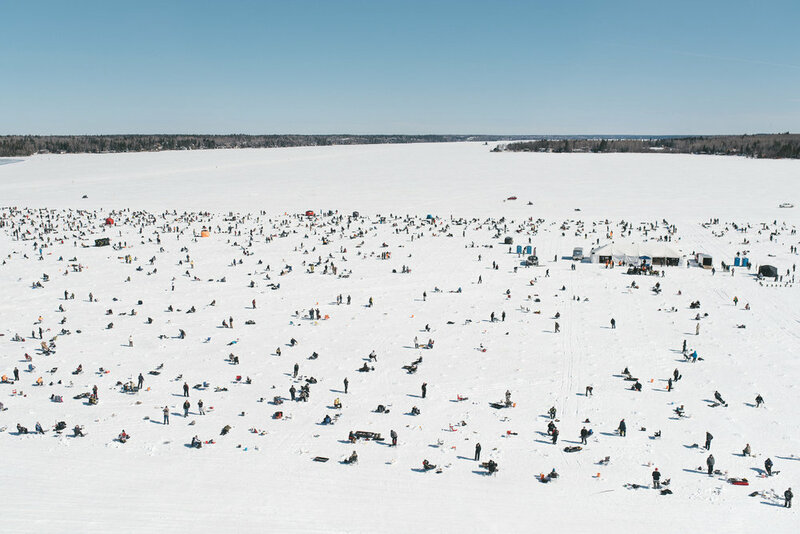 However in order to kickstart the contest we're giving away free entry to the tagged fish contest to anyone who purchases a Second Hole or Kids ticket at the Falcon Lake Winter Fish-Off. 3 Northern Pike will be tagged and released at the derby site in the weeks before the Falcon Lake Winter Fish-Off. Two will be worth $1,000, and one will be worth $5,000! These will be Fish local to the derby site so we're expecting one or all of them to be caught on derby day! To keep it going strong through the summertime 3 Smallmouth Bass will be tagged and released on the opening day of the open water season and be worth $1000 each! That's 6 fish for a total of $10,000! We're very excited about this addition to Falcon Lake and the added excitement it will bring to the Winter Fish-Off.